July 4, 2019 – NO MEETING – Happy Birthday USA!! Here you can Register for events throughout the year. Simply select the items you wish to apply for and they will be added to your cart. Once you have selected all the items you would like to register for, click the view cart button, check to make sure your order is correct and then proceed to check out. If you would like to register by mail, simply download and print the corresponding form and follow the instructions. 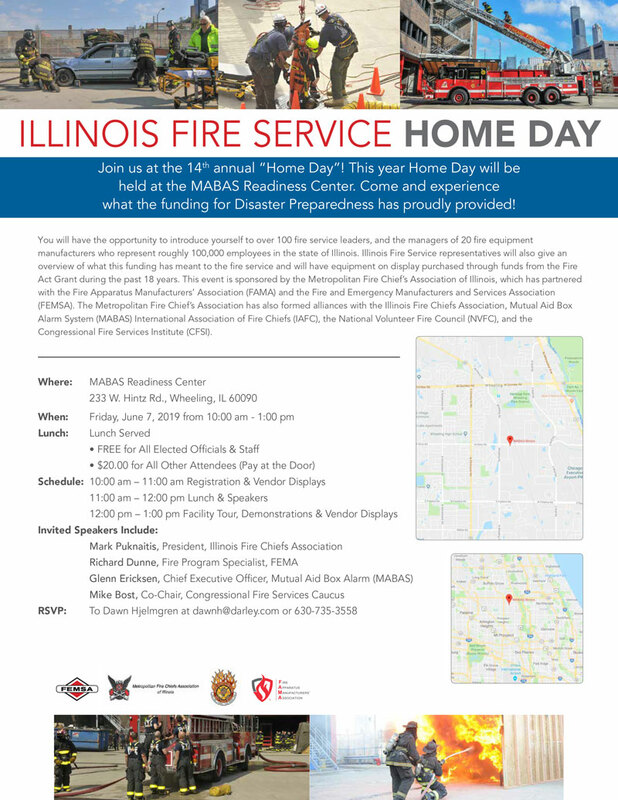 If you would like more information about event registration or have questions about registration, please click here to email Metropolitan Fire Chiefs Association of Illinois Director, Chief Randy Deicke. We will get back to you in a day or two.